The European Commission, the Agency for the Cooperation of Energy Regulators (ACER), ENTSO-E, Distribution System Operator (DSO) organisations and other stakeholders from across the electricity sector have devoted considerable effort to the development of the network codes for electricity over the past four years. ENTSO-E has delivered nine draft network codes to ACER, and the first network codes are currently going through the process of becoming law. The drafting and approval of network codes is, however, just the beginning. The network codes have been developed to help achieve Europe’s three energy policy goals: ensuring security of supply, creating a competitive internal electricity market (IEM), and decarbonising the electricity sector. For this to happen, network codes need to be implemented and complied with across Europe. This represents an important challenge for the European electricity sector. Each network code requires a series of steps to be taken before they can be considered as fully implemented. This might include national decisions, regional agreements, and new European common methodologies. All market participants, DSOs, Transmission System Operators (TSOs), and regulators will be involved and the required development work and consultation process will be extensive. The implementation of network codes needs to be undertaken in a coordinated way. 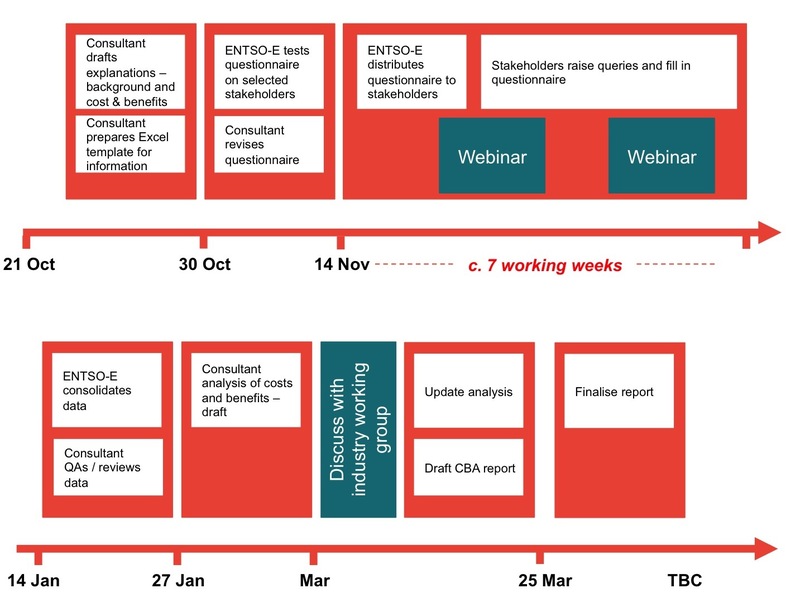 Effective stakeholder engagement is essential in ensuring a successful process, and ENTSO-E values greatly their input. This involves the sharing of views and information by all interested parties. Stakeholders will be kept abreast of developments and, where appropriate, are encouraged to provide their views and feedback. Responsibilities for implementation are clearly defined in the draft network codes. TSOs have the ultimate responsibility to implement a vast number of tasks at pan-European, regional, and national level. TSOs have asked for ENTSO-E’s support for some of these tasks, and in particular to ensure consistency of work and communication. A joint ACER/ENTSO-E public consultation on the best way to involve stakeholders in the network codes implementation process will run from 12 December 2014 to 23 January 2015. Network codes need to be finalised and adopted by Member States, and are therefore expected to evolve over time. TSOs have however decided to begin the early implementation of a number of projects, as suggested by regulators. This will contribute to faster delivery of the IEM. Information on the Cross Border Electricity Balancing Pilot Projects can be found at the link below; more implementation projects will be made available over the coming months. The connection network codes employ a flexible framework which allows some parameters to be set on a national basis (within ranges specified in the draft network codes), and others at pan-European level. This approach reflects the fact that electricity transmission infrastructure has developed differently throughout Europe, due to a number of national factors including scale, topography, and economy. Furthermore, the levels of interconnection between countries vary greatly. ENTSO-E has published implementation guidelines for the Network Code on Requirement for Generators (NC RFG) and Demand Connection Code (DCC) in order to support the codes by highlighting the impact on specific technologies, the link with local network characteristics, as well the need for coordination between network operators and grid users. This section lists the different information linked to the implementation of the EU regulation on the implementation of the capacity calculation and congestion management guideline - the “CACM regulation”. The sixteen transmission system operators of the Central Western Europe and Central Eastern Europe capacity calculation regions (CCRs) signed a memorandum of understanding (MoU) on 3 March to develop a common day-ahead flow-based capacity calculation methodology and merge the two regions into one. The proposal on capacity calculation regions (CCRs) that all transmission system operators (TSOs) submitted on 13 November to all national regulatory authorities (NRAs) for approval, and to the Agency for the Cooperation of Energy Regulators (ACER) for information, is the first milestone in the implementation of ​Regulation EU (No) 2015/1222 establishing a guideline on capacity allocation and congestion management ​entered into force last August.